Selling a home without the help of a realtor isn’t for everyone, but if you’re brave enough to try it, there are a few ways to make the process smoother. Even though prices have cooled in parts of the country, if you know what you’re doing it can help you save a lot of money in an expensive market. Monica de Leon has sold two houses, once with a realtor and once without. “We went without the first time because we knew, we didn’t want to pay the fee because it was just too much and we would’ve lost a lot of money,” De Leon told Yahoo Finance Canada. De Leon listed her home on Comfree, which has since been rebranded as Purple Bricks. She said the process was easy, inexpensive, and she received all the information she needed. De Leon says she felt confident about going it alone. “We knew we had a nice house and we knew it would be sold quickly and easily and it did,” said De Leon. De Leon says she sold her second home through a realtor, who she knew and was also representing the seller of the home she was buying. She says she checked Comfree again, but prices had gone up and some new rules had been implemented. 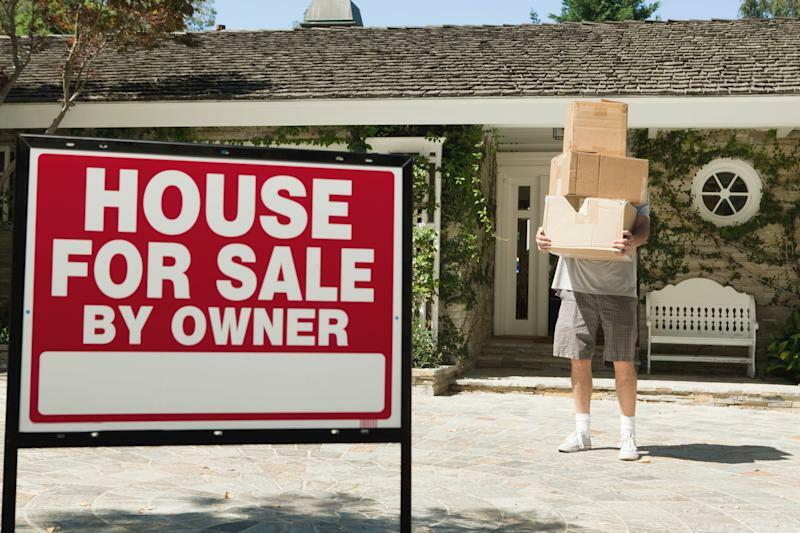 Even if you’re selling without a realtor, you’ll still need to hire a lawyer to seal the deal. You’ll also need a lot of know how. De Leon says you have to be very knowledgeable about the market. She says she was lucky enough to have realtor friends she could turn to for advice and a brother-in-law who’s sold a home without a realtor. De Leon says getting out there and talking to people who have done it is a great way to learn about the process. John Pasalis, President and Broker of Record at Realosophy Realty also has a few tips for anyone thinking about taking the plunge, starting with pricing it right. “One mistake sellers often make when trying to sell their home themselves is that they list their home at the price they want - not necessarily a price that is close to market value,” Pasalis told Yahoo Finance Canada. Pasalis says offering a commission to the buyer's agent can tilt the odds in your favour. Hiring a stager also goes a long way. Pasalis says highlighting your home’s best features can hide its small deficiencies. Preparing for a bidding war is another important consideration. “If it's the type of home that might receive a lot of interest, sellers want to think about what strategies they are taking to maximize their return and odds of a great offer on their offer night,” says Pasalis. Pasalis says the choice to sell without an agent depends on your personal situation. He says he always hires another agent when leasing commercial properties. Hiring an agent to sell your home can save sellers a lot of time and grief. Going it alone means taking on a realtor’s workload. “This includes researching and pricing their home competitively, listing the home on property listing websites (often done via a flat-fee MLS listing service), and marketing the property using for-sale signs,” James Laird, Co-Founder of Ratehub, told Yahoo Finance Canada. Laird says DIY sellers often let emotions get in the way, by asking for too much money and letting the property sit on the market for too long.